When I left school and started as a (not everyone will remember this) YTS trainee, I was quickly hooked on Automation and SP Technology; 32 years later I’m still here. 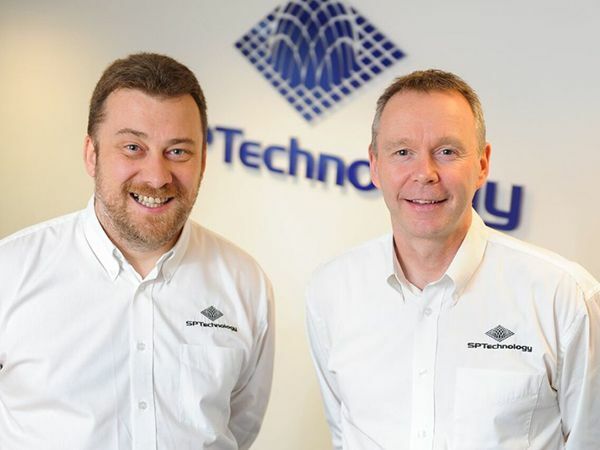 Why have I stayed so long with one company (albeit in numerous roles from tea boy to toolmaker, design engineer to technical sales, before finally becoming a director alongside my fellow director Lee Nixon)? All too often we hear from potential customers of their bad experiences with machine builders. From turning up for production trials to find the machine is “just not to the spec’” or “the subcontractor is not available as he is off-site” and in a few cases, to find only a machine frame has been built. This is embarrassing and costly for everyone involved and it is the reason that SP Technology has always controlled everything in-house from start to finish and beyond. From initial concept, through to final installation and training, we ensure our customers get the product and service they expect. We demonstrate the progress of the project with weekly meetings and video updates for our customers. We have a robust process for agreeing and signing off specifications, establishing sign-off acceptance criteria at each stage and we ensure that every project is closely scrutinised and monitored at every step of the process. We don’t hire sub-contractors. We employ and train all of our highly skilled engineers; allowing us to keep close control of our projects. We know that sometimes not everything goes to plan during the design and development of bespoke machines. Our dedicated project managers ensure complete transparency at all stages, and if plans change, our clients are kept up-to-date with a detailed action plan. Partnership is key to the success of our projects. We have supplied over 800 machines across the globe, to almost every industry over the past 34 years. We are proud of what we have achieved and what we can offer. In answer to the question, it comes down to morals and values. We are seeking the same result as our clients: a successful, high quality project with innovative process and production benefits that give a sustainable, competitive advantage. From bottle caps to fire detectors, shortbread petticoat tails to asthma inhalers, there’s not much I’ve not seen. Or is there? Every phone call we take presents a unique challenge. Every solution we design solves a challenge. And every person we employ teaches me something I didn’t know yesterday. Seeing ideas and very clever concepts develop into reality on a daily basis never gets boring. Seeing a satisfied customer at the end of a project – that’s priceless. That is why after 32 years, this YTS trainee turned MD is still passionate about SP Technology and automation.